Former England ruby union winger and Strictly Come Dancing contestant Ben Cohen wants deaf young people across the UK to enter Raising the Bar to showcase their talents at the performing arts workshops run by the National Deaf Children’s Society. Raising the Bar – which began in 2015 – was created to raise expectations and demonstrate what the 45,000 deaf children and young people in the UK can achieve in performing arts. 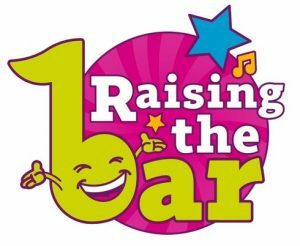 “For those deaf children and young people in the UK who are excited and interested in drama, acting, dancing and music, they should all check out Raising the Bar and see how they can apply and get involved. To be in with a chance of being selected to take part in the workshops, deaf young people must submit videos of their dance, drama, music or signed song routines. There are 24 places available with the final showcase taking place 12-13 May in the Ruddock Performing Arts Centre, Birmingham. The final deadline for applications is 25 February 2018. The three workshops and final showcase will provide aspiring young actors, dancers and musicians with the opportunity to demonstrate their passion, talents and prowess in performing arts. Industry experts Music and the Deaf, Deaf Men Dancing and Deafinitely Theatre will provide advice and coaching tips to the selected applicants. The National Deaf Children’s Society staff will also be supporting the participant’s on their journey. “The final showcase for Raising the Bar in Birmingham will give deaf children the chance to get together, learn new skills with some incredible professionals, and ultimately demonstrate the level of talent there is among deaf children and young people.